New York, SANA_ “Rad al-Qada’a: Aleppo Central Prison Siege” feature film was screened at the United Nations Headquarters in Geneva during an event organized by Syria’s Permanent Mission to the UN in the context of its activities within the current session of the Human Rights Council. 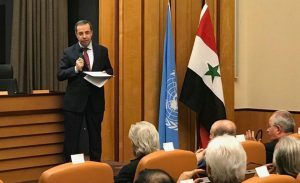 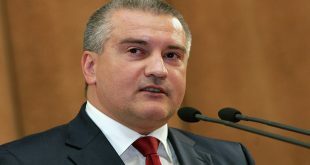 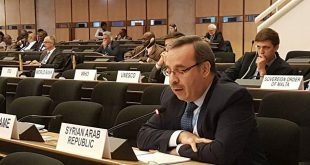 Syria’s Permanent Representative to the UN in Geneva, Ambassador Hussam Eddin Ala said that the film showed an aspect of human suffering which affected the Syrian people due to crimes committed by the extremist terrorist organizations, whose their crimes and practices are often absent from the UN politicized reports and Western media outlets’ coverage. 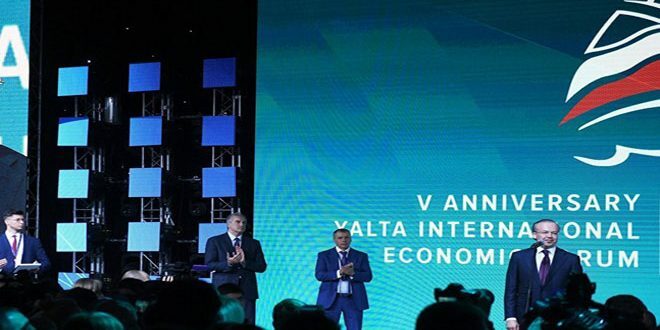 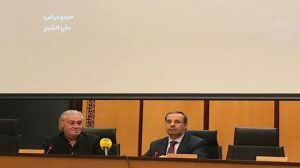 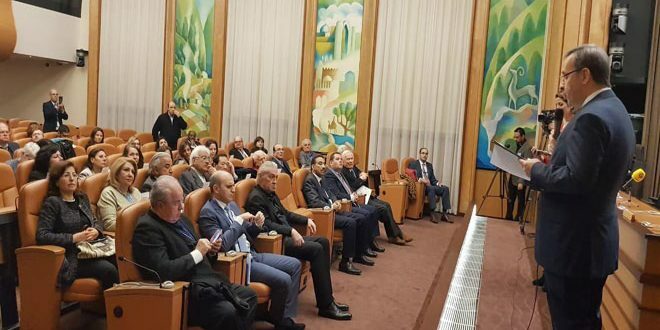 Ala indicated that epic real-life story of Aleppo Central Prison is a model of the multi-faceted war that targeted Syria over the past years, and confirms that the will of life and the spirit of resistance of the Syrians defeated terrorism. Director of the film Najdat Ismail Anzour, pointed out that the film summarizes the suffering of the Syrians in the fight against terrorism and extremism and relates this suffering in an artistic and creative manner and presents it in a realistic way that reflects the vision of those living with these events. 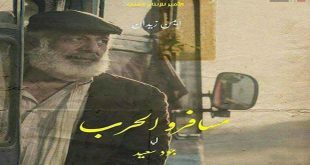 “Rad al-Qada’a” (which can be roughly translated to “warding off fate”) is directed by Najdat Ismail Anzour, written by Diana Kamal-Eddin, and produced by Qaterji group. 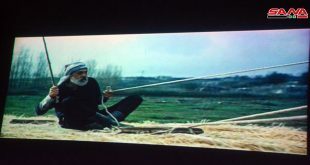 The film focuses on the near-daily battles between the security forces tasked with protecting the prison and the terrorist who were attempting to storm it, which run parallel to the story of a mother who asks for the hand of a young woman for marriage to her son who is besieged in the prison, with the mother waging her own battle to lift her son’s morale. 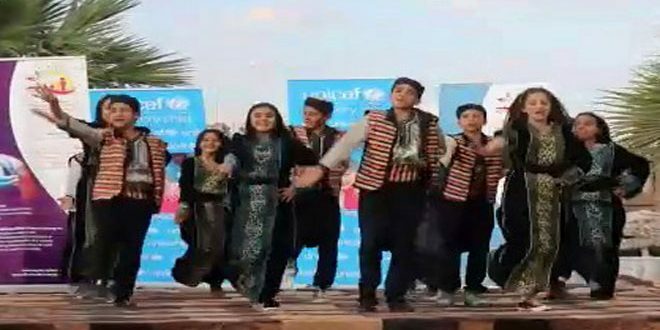 The film’s cast includes Juliette Awwad, Abdelrahman Abu-el-Qassem, Fadwa Mohsen, Fayez Qazaq, Iskandar Aziz, Sana’a Sawwah, Majd Fedda, Amer Ali, Nasser Marqabi, Amjad al-Hasan, Mazen Abbas, Marwan Abu-Shahin, Mohammad Shamma, Kinan al-Ashoush, Laith al-Mofti, Raed Moshref, Jihad al-Zoghbi, Abdullah Sheikh Khamis, and Dina Khankan.